Lot Size: n/a "Interior Lot, Landscaped, Lrg. 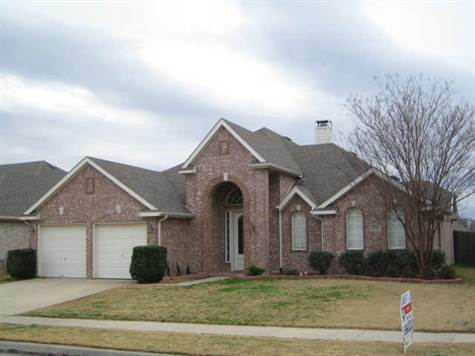 Backyard Grass, Subdivision"
Very well kept and updated home with open, flowing floor plan. Kitchen has granite counter tops, tile backsplash and gorgeous tile flooring. Breakfast area has a large bay window looking out to back yard. This home also has very unique wall angles & high ceilings that add a perfect accent. Master bedroom has approx 8x7 sitting area with a bay window. Very spacious master bath with garden tub & separate shower.